Fr. James F. Crilly, CSV, who was among three missionaries to establish a Viatorian school and parish in Bogota, Colombia, back in the early 1960s, has died. He passed away Nov. 2 at Addolorata Villa in Wheeling. Fr. Crilly was 89. Fr. Crilly was born July 10, 1929, in Chicago, the son of Joseph and Theresa (Nash) Crilly. A graduate of St. Philip High School in Chicago, he pronounced his first vows on Aug. 15, 1950 and was ordained on Aug. 15, 1956. He earned a B.S. degree in Biology from the University of Illinois, Navy Pier and Loyola University, Chicago. He held an M.S. degree in Biology from Catholic University of America in Washington, DC. Fr. Crilly taught one year at Cathedral Boys High School (1952-53) and four years at Spalding Institute in Peoria (1957-61) before going to Bogotá, Colombia, in the summer of 1961. He was named the local superior and was one of the three founding fathers of the foundation of Colombia and the all-boys school, Colegio San Viator. In 1973, he returned to the United States to become formation director and coordinator of vocations, and taught for one year at Saint Viator High School in Arlington Heights. In 1977, he was named pastor of St. Viator Parish in Chicago, before being, he was appointed assistant provincial for the Province of Chicago in 1979, serving the Viatorian Community until 1983. He then returned to parish work, serving as pastor of Maternity BVM in Bourbonnais until 1991. 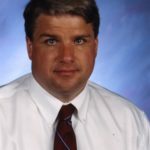 In 1992, he was assigned as associate pastor at St. Thomas More Catholic Community in Henderson, NV and in 1994, as associate pastor at St. Patrick Church in Kankakee. Fr. 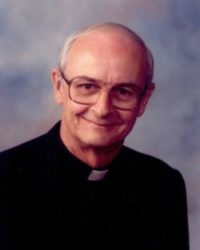 Crilly became pastor of Guardian Angel Cathedral in 1996 in Las Vegas, and served in that position until 2002 when he retired. In retirement, he lived in Las Vegas until 2008, before moving to the Viatorian Province Center Residence in Arlington Heights. He was preceded in death by his parents, along with his brothers Richard and Philip Crilly and his sister, Margaret Shields. 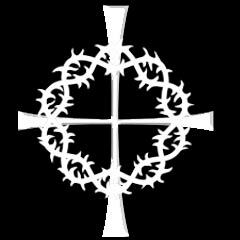 He is survived by his sister, Sr. Virginia Marie Crilly, BVM and many nieces and nephews. Visitation for Fr. Crilly will be held from 10-11 a.m. Nov. 7, before a Mass of Christian burial, both at the Viatorian Province Center Chapel, located at 1212 E. Euclid Ave. in Arlington Heights. Interment will be at Queen of Heaven Cemetery in Hillside.